Whimsy and Parchment... : Hello again. Even though I knew that it had been awhile since I had posted or done anything online in the book blogging world, it still surprised me when I looked at the date. I was thinking 'well, almost a year, that's not so b- wait, that was 2016, it's now November 2017'. I don't really have an excuse, if I'm honest. 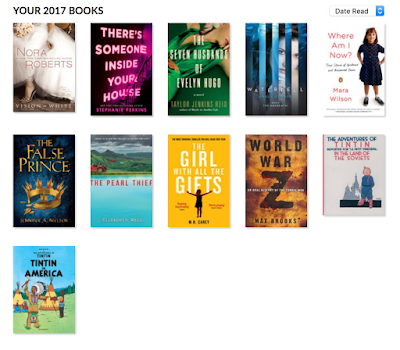 Life did catch up with me in ways - in April 2016 I got swallowed up a bit by the build up to the US election (even though I'm Canadian...yeah...) and then since then I just haven't really been reading much. Now, that's not to say that I haven't read at all - I've read a few books here and there. I've read a lot on Reddit, actually - if that counted I'm sure I've read more than a few novels worth! But honestly, I just haven't made the time to sit down and actually read as much as I have in the past, and that was a choice and a decision on my part. So basically I'm here because I'm trying to get this fired up again, and because I do miss having books in my life. I'm also aware that I need to try and strike a bit of a balance, rather than hopping from reading to watching Youtube to watching TV in these binges before I eventually circle back around. I do think that sometimes I try to do too much, and focus too much on ARCs - they're like a particularly shiny coin, and oh, it's so fun to get them. The trouble is that sometimes they can become a bit of a mental burden, and that's no fun for anyone.